MacArthur had given orders to Gen. Eichelberger to push the 11 Airborne Division as hard and fast as possible. The unit’s commander, General Swing, was eager to please; if fact – he was way ahead of the brass. (as usual) and the men were only too happy to make “Uncle Joe” (or “Jumpin’ Joe) proud of them. The 11th numbered 8,200 men, about half that of a normal division. The 187th and 188th regiments had no heavy weapons, cannon or antitank companies; the 511th had only three rifle companies. 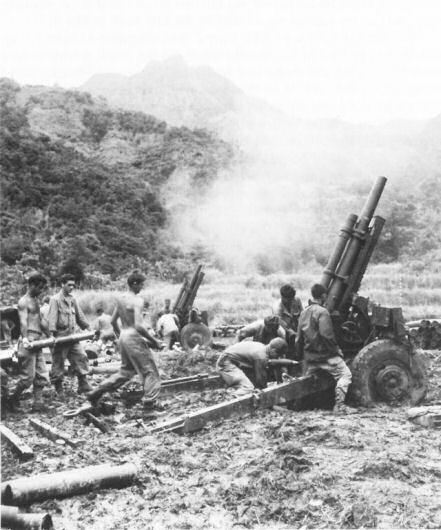 The artillery was made up of two 75mm pack howitzer battalions and a 105-mm howitzer battalion with a short barrel howitzer. The 221st medical was attached to the 187th. The Genko Line, manned with 6,000 Japanese soldiers, had roads mined with 500 pound aerial bombs and low pressure detonators. The 1,200 pillboxes that stretched from the high ground of Fort McKinley through the Manila Polo Club and across Nichols Field to the high ground of Mabato Point along Laguna de Bay were stocked with 20mm and 6 inch guns from Japanese warships. The extensive preparation for this defense began in 1942 when the Japanese first conquered the island. In the mountain areas, the tunnels wound around and opened up into supply rooms, living quarters, shrines, hospitals, etc. It was virtually an underground city and military headquarters. At dawn, part of the 187th was at the base of Mount Aiming. This is a 1,200 foot, densely wooded mountain at the start of Mount Cariliao and then Mount Batulao. The three mountains made up a natural defense for the enemy as they truthfully peered down on the Americans. Machine gun fire, mortars, heavy artillery and grenades bombarded the men to greet the morning of February 1, 1945. The men of the 11th were, according to the G-2 intelligence, up against some of the best enemy combat troops and they were capable of watching the soldiers advance uphill. The 674th and 675th Glider Artillery Battalions moved into position to assist the 1887th and 188th as they began their assault at 0900 hours. The area became strafed by the Air Corps fighter and A-20s. The men used rifles, bayonets and grenades to fight their way to the peak; often using the enemy caves for their own protection. By 1600 hours, they had achieved their goal. By reaching the top of Mount Aiming, the Americans had split the Japanese defense line in half. My thanks go to General Flanagan for the exact hourly timeline of this brutal day. Anyone interested in WWII should check into all of his books. Personal note – Judy, from greatestgenerationlessons.wordpress.com, has invited me back to her site for another guest post. 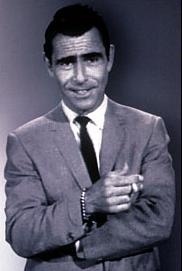 My article on the state of affairs for the American family during the WWII era will appear on Monday, January 7, 2013. Judy and I would greatly appreciate to hear your additions or feelings on the subject. A very Merry Christmas to all in WWII era style. My best wishes and thanks to those of you who happen to pass this way. To the Military: My prayers and thanks go to you for your service and we all hope to see you soon. To those who do not celebrate this holiday: I wish you the good blessing and heartfelt emotions that are symbolized in the season. Early in January, Japan’s General Yamashita pulled his Fourteenth Army (260,000 men) back off of Luzon’s beach to conserve them. He was aware of the forthcoming invasions of American troops. 27 January, the 11th airborne set sail for the island aboard the transport ships under the command of Admiral Fechteler. The LCIs were crowded and the men ate “10-1” rations (50 pounds of food, enough for ten men) during the cruise. 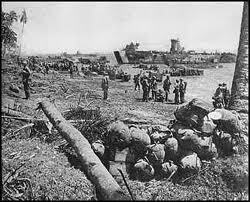 The 188th landed at Lucena and secured the beachhead. Immediately following, the 187th Glider Regimental Combat Team landed to protect the south flank by making certain the enemy could make no approach from the Balayan Bay-Santiago Peninsula area and the 511th would jump on Tagatay Ridge. This was labeled Operation Mike VI; devised by generals Eichelberger and Swing and would be considered quite unusual by most traditional military planners. All the troopers had been so well briefed on the terrain from aerial photographs and mock-up reliefs that upon their landing the area gave a feeling of deja vu. Once they were on land, they started down Highway 17 toward Tagatay. That journey would consist of approximately 30 miles of valleys, flat terrain of rice and cane fields, mountains and careful traversing along crests of ridges. The distance between Tagatay and Manila was about 37 miles, traveling passed Nichols Field before reaching Manila proper. 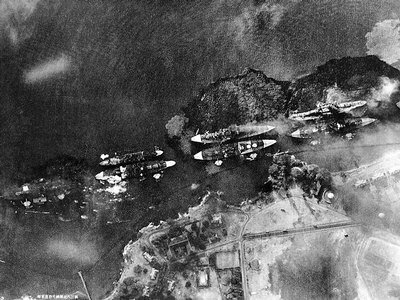 (the main supply area for the Japanese troops) Manila was a crucial stop-off for the enemy on Guadalcanal, New Guinea and the Solomon Islands. 31 January was known as X-Ray Day for those bombing Japan. 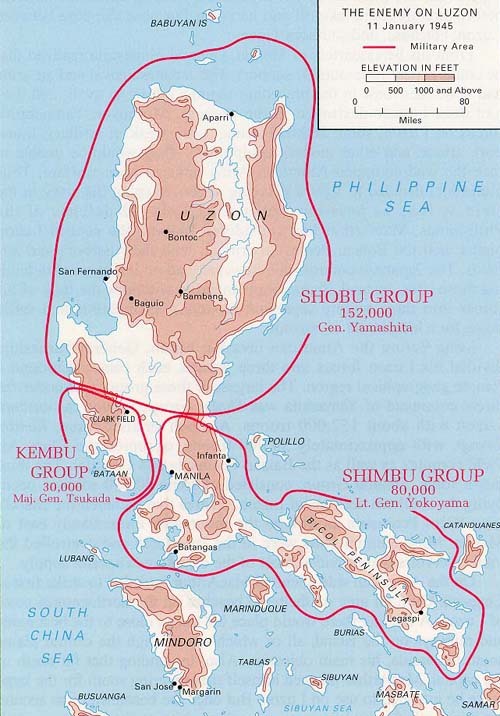 In Luzon, the Japanese forces were basically divided into three groups. The Shobu Group, under the command of General Yamashita, totaled 152,000 men and in control of the northern part of the island. The Kembu Group under Major General Tsukada had 30,000 men and dominated the Clark’s field and Bataan peninsula area. The Shimbu Group was 80,000 strong and ruled over the southern half of the island under Lt. General Yokoyama. The Fuji Forces, named for Colonel Matsatoshi Fujishige, would be created later on. They numbered 8,500 men, but they were working with 5,000 troops of the Surface Raiding Base Force, a unit that consisted of 100 suicide boats, called Maru-ni and operated by another 100 men. The US Sixth Army, under General Krueger, had landed on Luzon north of Manila before the 11th airborne division went ashore to the south. MacArthur became upset with the slow progress the 6th was making to retake control of the capital and told Gen. Eichelberger, “speed up your ‘palsey-walsey,’ Krueger doesn’t even radiate courage.” Ergo – a rivalry was born and a race between the Sixth and Eight Armies was underway. 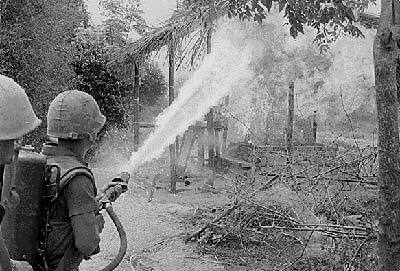 The problem was, the 11th airborne had been given more than one priority to handle. The B-17 Flying Fortress was a primary resource for both the U.S. Army Air Corps and the Royal Air Force early on in the was. Depite going through fourteen different variations, General Arnold decided that the plane was not the most efficient for the unusual aspects of the Pacific War and it generally maintained a status of completing aerial supply drops. The U.S. B-24 Liberators was capable of of carrying up to 3629kg (8000lb) of bombs and had a range of traveling over 3200km (2000 miles). 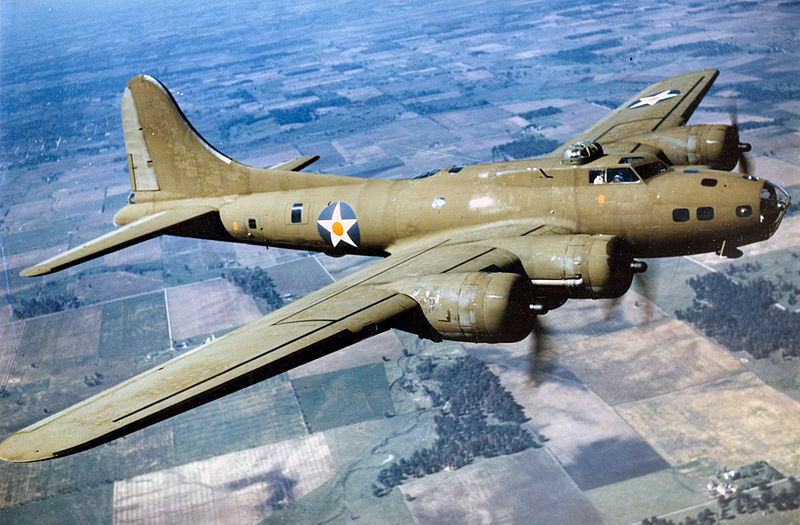 It was more modern than the B-17 with a longer range, heavier pay load and more speed. This plane was used by almost every army in almost all theaters of operation. B-25 bomber was a medium bomber which was easily controlled. Named after General Billy Mitchell, the only complaint about the plane was how loud it was. The usual joke heard, “The B-25 is the fastest way to turn aviation fuel into noise.” This plane saw service for four decades, with the Army, Air Force and Marines all having their own variations. This was widely used in the Pacific because it was capable of treetop level strafing and parafrag (parachute-retarded fragmentation bombs). 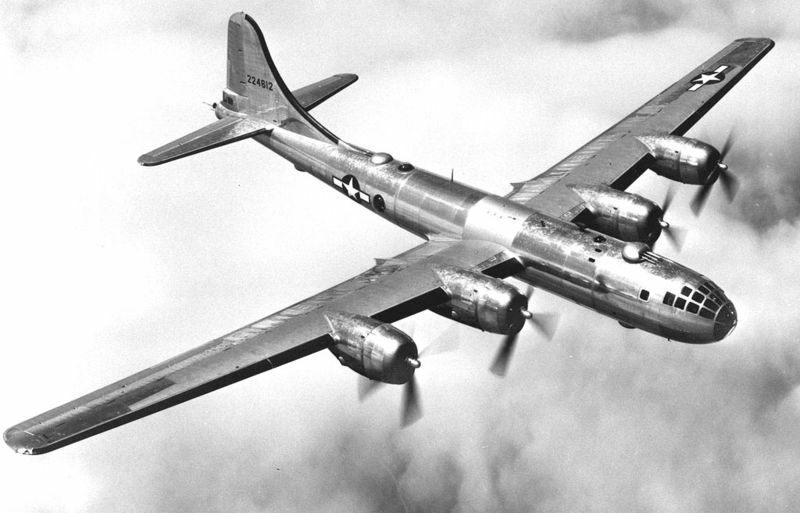 The Boeing B-29 has become the most famous bomber since it was the Enola Gay that carried and dropped the first atomic bomb. It was designed to be a Hemisphere Defense Weapon with an extremely long range of 4100 miles and had a bomb load capacity of 20,000 pounds. It was well advanced in that the gun turrets were controlled remotely by the gunners sitting inside and using periscopes to aim their weapons. The plane had a total of ten 12.5mm machine guns. A common complaint was the Wright R-3350 Duplex Cyclone engine and it was eventually replaced with the Pratt Whitney R-4360. There were numerous other bombers, such as: the Marauder, Dominator, Liberator, B-34, etc., many of which went through different variations. But, since we are giving credit where credit is due – there were also numerous other planes involved in assisting the ground forces. You had the fighters, such as the P-40 which became known as the plane of the “Flying Tigers.” On February 1, 1945, the Corsair made their first regular operational flight from the US Navy aircraft carriers. It had a kill ratio of 11:1 with it’s six machine guns and capability of soaring 417 mph. The Corsair would become the best of the carrier planes. And the, you had Dive Bombers, Torpedo bombers, attack planes, Reconnaissance, Cargo and Transport (like the C-46 Commando and C-47 Skytrain), Liason planes, Observation, Seaplanes, and Flying boats – eg. 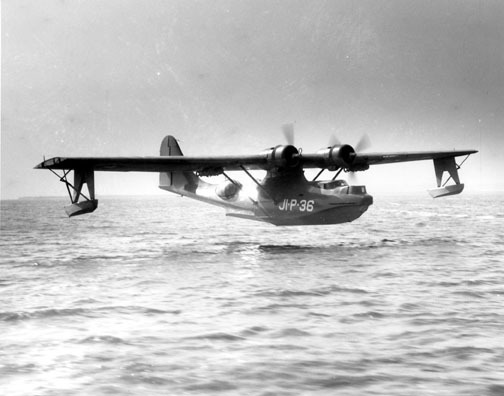 the PBY Catalina, some of which are still in use today. This ship was useful both as a rescue and a bomber. This post is to give the reader an idea of the constant activity going on in any one area. The Allied forces and each branch worked separately, but simultaneously to accomplish one goal. Perhaps that is one reason why I find the WWII era so interesting. If anyone out there would like to further research this topic, I recommend daveswarbirds.com/usplanes/american.htm as an excellent starting point. Judy Hardy was kind enough to invite me to guest write on her blog. This is what appeared on her site yesterday. I have re-blogged the item for your comments and opinions. For one – should we continue the guest writing or no? Thank you for taking the time to stop by. On November 16th, I received an email from WordPress.com telling me that gpcox had liked several of my posts and suggested that I check out their Blog, pacificparatrooper.wordpress.com, which I did. I read about the 11th Airborne Division in the war in the Pacific. I also enjoyed reading, with humor, a letter from Smitty to his Mom describing a recipe for “Jungle Juice”. The similarities between our posts was not lost on me and I sent a comment to gpcox. Since we had both started Blogging in September of this year, I thought we might be able to connect and give each other encouragement and advice. I take this interruption in my story to honor those who both served and died in Pearl Harbor, Hawaii. There are other stories about Swing that are quite similar, including one where, rather than getting down, he actually walked over to the palm tree where the sniper was firing from and pointed him out as the U.S. sharpshooters dropped him. From the moment the 11th Airborne landed on Leyte, the fighting was heavy, but they made excellent process across the island. Suzuki’s Thirty-Fifth Army became desperate, especially after the fall of Ormoc, which cut off his troops from their naval supply. 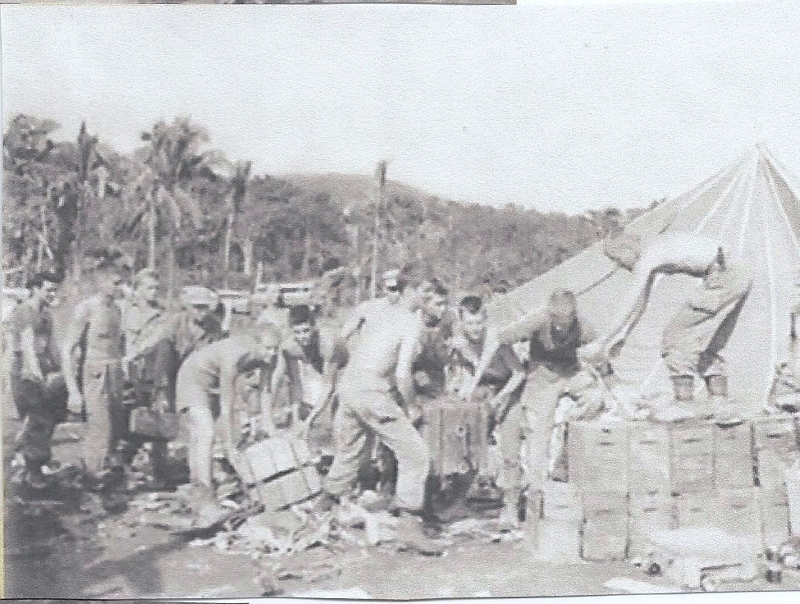 While on Leyte, the 11th A/B was attached to General Krueger’s Sixth Army. A superior reference guide to the movements of this unit can be found in the various books by, Lt. General E.M. Flanagan, Jr. (Ret.). The Angels: A History of the 11th Airborne Division gives detailed accounts by the author, who himself was the commander of the 11th Division’s B Battery of the 457th Parachute Field Artillery Battalion. And – a very nice man I might add. I was privileged to have two phone conversations with the general. Personal note – I hope many of you will go the greatestestgenerationslessons.wordpress.com on Saturday when I will be a guest writer. We are attempting to put our two stories into perspective as our fathers grow and enter the army during WWII. We request a comment to establish if we have accomplished that goal. Thank you and feel free to comment on this blog as well.